Michael G. – he took our problems seriously and always called back promptly with answers to my questions. He spent a lot of time with my family, and my kids really liked him, and felt comfortable with him. I would recommend Michael to anyone that needs this kind of help. I wanted to thank you again for taking the time to meet with me last Friday. I was very impressed with you and what you have accomplished in your field. Michael made the decision in selecting a school district for my son. My son has apraxia, a speaking disability. Michael interviewed the staff and researched the strengths and weaknesses of the school districts. He helped my son assimilate into a new school district. I have four children in my family. Michael was our Parenting Consultant. He was there when the problems about driving, schools and visitation became impossible. I feel lucky that he was in my children's lives. I have an 8 year old son. I have full physical and legal custody. Michael helped me deal with my son's father. The issues of pick-up and drop-off times were a big problem. Michael helped solve this by saying, “What is best for the child?” Thank you Michael for helping my family for four years. I just wanted to thank you for what you do for my family every day. You are always willing to listen and understand what I am trying to say. You make time for us no matter when we need you, calm things down when I feel the world crashing around us, identify what is most important in each specific situation, and make decisions using common sense. You have had a calming effect on our family and I thank you. 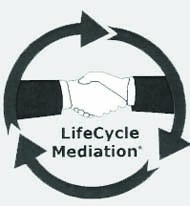 Thank you on getting the parties to reach an agreement in mediation. I thought this would be a tough one. Michael saved our marriage with Boot Camp for Husbands. Thank you for your help in doing what is best for the children. Your wisdom and understanding helped the relationship with myself and my children. Your guidance as a Parenting Consultant helped with my family. Thank you for your understanding with our family of different cultures. Our many problems were solved.